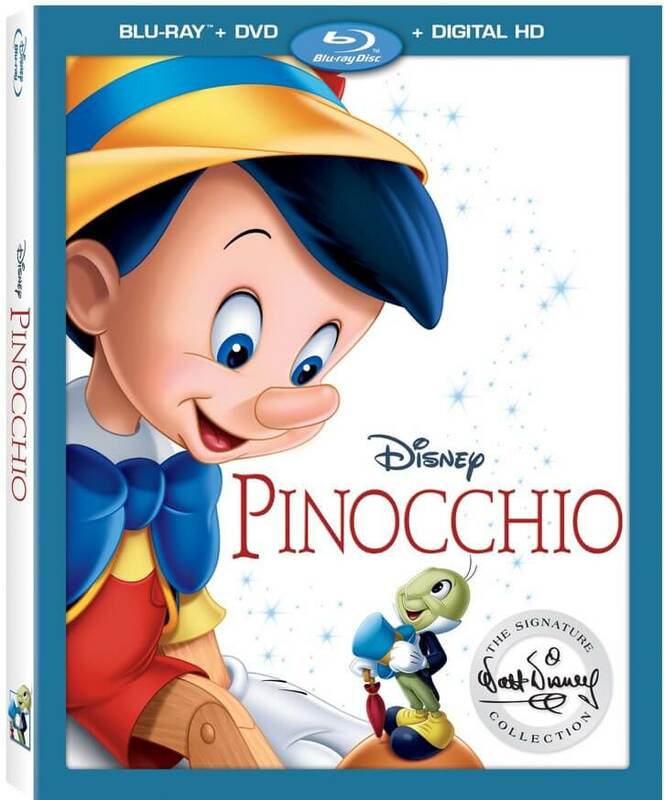 This is the second release for Pinocchio on blu-ray (released in 2009 and put into the vault in 2011). Pinocchio was the second animated film released by the Disney Studios after the enormous success of Snow White and the Seven Dwarfs. Technically, it is considered a masterpiece even though it wasn’t hailed as one during the initial theatrical release in 1940. If you’d like to read the definitive work on Pinocchio, then check out the amazing book by J.B. Kaufman! Seriously, it’s that good. 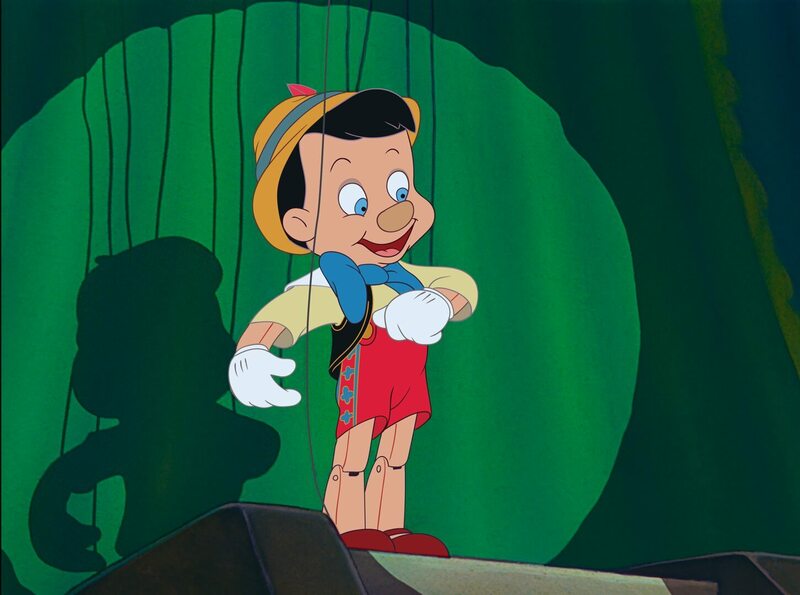 So, should you pick up this edition of Pinocchio on blu-ray if you own the 2009 release? If you don’t own the 2009 release of Pinocchio on blu-ray, then you definitely need to buy this edition. If you own the 2009 release, then I’m not so sure. The film looks astounding and sounds superb. I swear it sounded like I was hearing things for the first time. For instance, the first scenes with Geppetto and the Pinocchio marionette were so charming musically, that I almost didn’t remember the scenes having as much music. Pinocchio is one of the few films to have received the rare 100% rating on Rotten Tomatoes. Again, this is a Disney classic, so there’s not much I can say about the film that hasn’t been said before. So, what is the Walt Disney Signature Collection? The Pinocchio on blu-ray Bonus Features! There are only four new bonus features available on the Walt Disney Signature Collection release. Usually, the bonus features are the main reason I will recommend a purchase in a case like Pinocchio. I really respect Kaufman and I was glad to see him as part of this feature. It was well-done and typical of what’s expected from Disney when a deleted or changed scened is released on blu-ray. There were some new gags that I’d only seen in Kaufman’s Pinocchio book, but it was good to see them in relation to the film. This was a short bonus feature that uses photos from Walt’s life to bring his thoughts and feelings on Pinocchio to life. I enjoyed it, but I have heard most of the quotes before. So, it seems like Disney puts something odd on every blu-ray release and this one was it. I’d never heard of any of these people and I really felt the song was incredibly lackluster. There just wasn’t any passion or emotion in the recording. As always, it is amazing to see the earliest works of the Disney Studios. Despite a lack of introduction by Leonard Maltin to put the animated short into a proper historical context, it was an enjoyable cartoon. Just try not to be offended by Oswald shooting a rifle. Or the copious amounts of recycled footage. I’m glad that Disney includes the bonus features from previous releases, especially if you don’t own them. Unlike some of the other films that I’ve reviewed, it looked like the bonus features had been re-mastered, sort of. They were included in the 2009 Pinocchio on blu-ray release, which should explain the high quality. Should you purchase this release of Pinocchio on blu-ray? It really comes down to the bonus features. If they interest you, then yes. If you don’t own the 2009 release, then definitely! Personally, there wasn’t enough bonus material to warrant a purchase if you own the 2009 release. This release (2017) was truly gorgeous and worth adding to your collection. Are you going to pick up Pinocchio on blu-ray? Frozen Ever After, Norway Bathrooms and Kawaii!